Some people have accused Baba of “faking” materializations, saying, for instance, that they have seen Him clandestinely pull a ring from under His cushion and then wave His hand and pretend to miraculously manifest the ring. Although these stories may just be more lies from the jealous ones, let’s assume, for the sake of discussion, that Baba does occasionally throw some cheap magic tricks in among His miracles, and allows a few devotees to glimpse His sleight of hand. What could be the reason for it? First of all, there could be many devotees whom Baba wishes to bless with a faith-enhancing gift, who are simply not karmically ripe enough to receive a divinely manifested object. (Most souls in this age are immersed in dense worldly ignorance, and are neither spiritually ready nor karmically deserving to witness genuine miracles.) 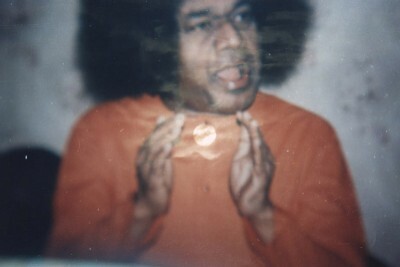 So, although Baba definitely has the power to manifest anything He wishes, and transform one object into another with a single puff of His breath (something He has proved time and time again for decades), for certain souls He might instead engage in a bit of beginner’s magic, and pull a ring from under His cushion rather than materializing it. This would enable those devotees to receive the gifts from His hand that they craved, thereby giving their faith a boost, while satisfying the requirements of the Law of Karma. 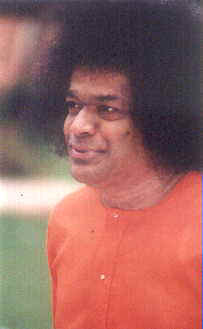 Another possible outcome: by shocking a devotee out of his ‘miracle-based faith’, Baba’s tricky test could serve as a wake up call from the duality laden Guru-disciple dream, breaking the devotee’s attachment to worship of the external Guru, and leaving him with no recourse but to put all his focus on the non-dual Atman - which is, after all, the true spiritual goal. Through that sudden shift of focus onto the Self within, the devotee just might find Baba in a whole new way; it could even propel him all the way to Enlightenment - to the permanent realization that Paramatma Sai is his own indwelling ‘I’. And remember, to bring us to Enlightenment is the Guru's one essential task - their very raison d'etre - and they will accomplish that task 'by any means necessary', including lying, trickery, the breaking of taboos, and any other available method of shocking us out of our complacency and making us thoroughly miserable in our spiritual egos! One thing to keep in mind: intentionally bringing up doubts in the devotees’ minds is a time-tested technique used by many Gurus; I have personally experienced it with Ammachi, and also read about Neem Karoli Baba using the same method. What better way to bring the devotee face to face with his own Doubting Thomas, and challenge him to rise above all doubts into the true Atmic quest, into unflinching faith, surrender and Divine Love? Knowing Baba’s playful Krishna nature, I certainly wouldn’t put it past Him to be playing a few games with His materialization leelas. He is, after all, an embodiment of Mahamaya, the Creatrix of the whole cosmic illusion, the One who is fooling all beings! Yet He is also the supreme Truth, and the supreme bliss - and if we can learn to enjoy His mischievous games as much as He does, without insisting He play by our rules, I believe we’ll have gone a long way towards attaining that bliss, which is our true eternal nature. I know a young man from Mexico who witnessed what he thought was a fake materialization done by Baba. He went into anguish over the doubt it created in his mind, and secretly prayed that Baba would clear it away with something truly ‘unfakable’, such as making water pour out of His hand! The next day Baba called him in for a private interview, rolled up His sleeve and held out His down-turned hand - and suddenly, a stream of water poured out of His palm like water from a tap! My friends, is it wise to doubt Him? For those who have studied Sai Baba in depth and witnessed His materializations first hand, there can be no doubt that the vast majority of them are bona fide miracles. I and many of my friends have seen numerous unquestionably-genuine miracles up close: necklaces and watches literally popping out of the air beneath Baba’s hand, right before our eyes. And there are thousands of believable stories. My fiancé's parents know an American woman for whom Baba once materialized a gold bangle during an interview. When she tried to put it on it was too small, and wouldn’t fit over her hand, so Baba took it back, held it up for all to see, and blew on it - and the bangle instantly expanded to a much larger size, which easily fit over her hand! But then she said, “Swami, now it’s too big - it’ll fall off!” So He bent over and blew on it again - and the bangle instantly shrank into a perfect fit around her wrist. Do tell, doubters, how did Baba "fake" that one? One thing to keep in mind: the gifts Baba give reflect the qualities of the people to whom they are given. 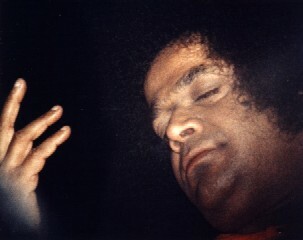 Furthermore, what we see in the Sai Mirror (and receive therefrom) reflects primarily our own minds. Baba often manifests diamond rings, with surprisingly large diamonds set beautifully in gold; some of these rings have been valued at over a quarter of a million dollars. Yet one man, who has now taken to globally scandalizing Baba, also received a ring from Him - and when he took it to a jeweler for valuation, he was told it was not a diamond at all but merely a well-cut lump of glass! Is it any wonder Baba gave such a ring to one who would prove a completely false devotee? Of this I am sure: if Baba does occasionally engage in a bit of ‘sleight of hand’, it is only another piece of His maya - specifically designed to create negative rumors that will test His devotees and keep unripe souls from recognizing Who He is. Those who think they have ‘caught the magician at his tricks’ have actually been fooled by the Avatar’s maya, and in the process proved themselves as yet unworthy to behold the glory of the living Incarnation of God.